Custom Expense Management System for a Client to add, approve and manage advance received and expense made by Branch Offices and Sales Team. The project consists of a web application as well as an Android Mobile application (only for field & Sales team for entries of advance received and expense made). It is a custom application built for a Publishing House. The structure and the flow are designed as per the client requirement and processes. 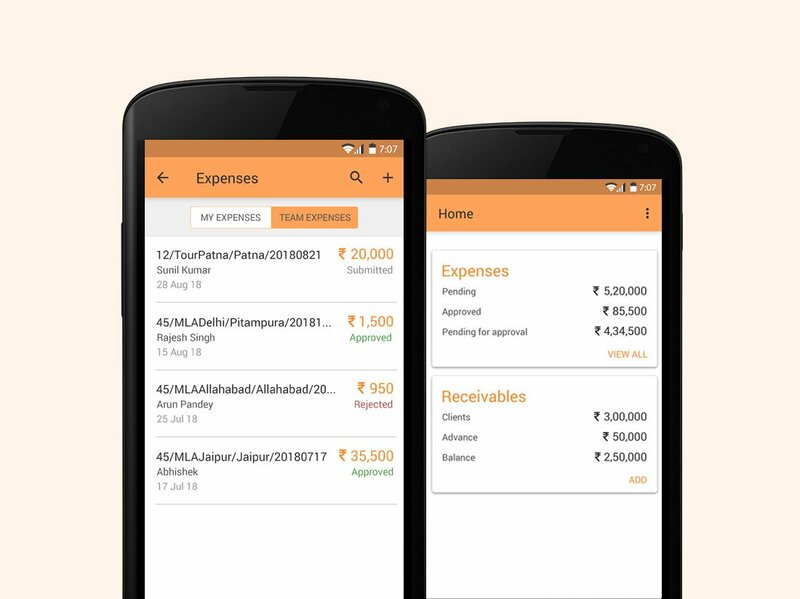 It allows the Headquarter to keep a bird’s eye view on the whole team and make the life of account office easy by giving them effortless access to collate all the data with supporting documents (user can add supporting bills or document with the expense or advance entries). The application also provides custom reporting as per the user role.